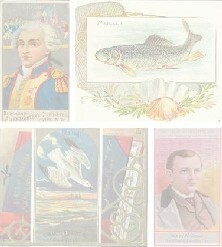 Categories > 1901-1930 > ARM AND HAMMER FREE FILLER CARDS. 1930's? spark929@yahoo.com. As you can see just as fillers but what the heck they are free. See photo #11, 24, 40, 51, 52.